Fancy getting ahead of the game? Grabbing a free, pre-publication copy of my new book Know Me Now? Just go to NetGalley and in return for your free copy all you have to do is give it an honest review. It doesn’t have to be an essay – I know how busy everyone is – but a line or two and a rating would be fantastic. I’d love to know what you think! With all the derring-do going on in the story I had totally forgotten about it, but even villains like a bit of turkey and Christmas pudding. Or I should say: a sausage and a bit of steak on the barbie since the book was set in Australia. Now, when I’m writing a book, I print out a calendar page and stick it on the wall with any holidays highlighted. This goes alongside a range of research pieces and as I look at my wall right now, I have everything from the structure of the Moroccan police to maps of Marrakech and Mayfair, pictures of flight recorders, detached retinas and Heckler & Koch HK416s. I remember one slightly unfortunate moment when I was in the middle of the first draft of Spare Me the Truth, and I’d had to call an emergency plumber out to attend to my defunct boiler. I caught him staring at my wall of notes with something akin to horror. Not only did I have pictures of guns and knives up there, but also a photograph of bodies of sacrifice victims and a detailed local map with a big red cross on it, and an arrow leading to a note which read: TAKE LUKE MACKINTOSH INTO THE FOREST AND KILL HIM. I hastily explained my job to him, but he didn’t take up my offer of a cup of tea. The boiler was sorted, quick-smart too, so not a bad result! It’s been a month with some fabulous Autumn weather. 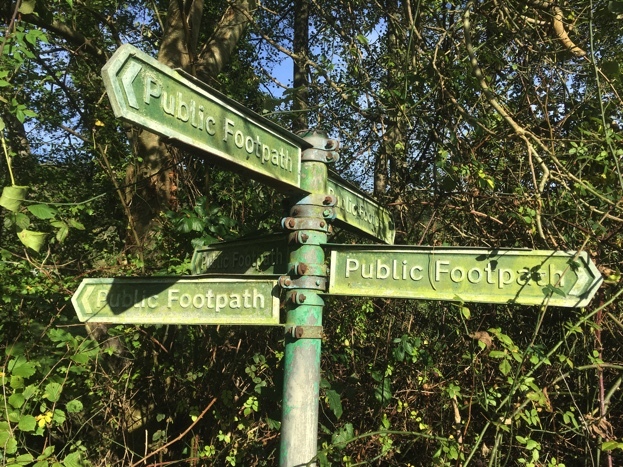 Perfect for walking, and perfect for me creatively because I’ve started the next Dan Forrester book and walking is what I thrive on. I can start the walk with a vague idea where I’d like the next few chapters to go but after a good long stomp, I have them tightly planned out and return to my desk with my brain pretty much on fire. If I’m interrupted during this phase, don’t be surprised if I look straight through you. I am absolutely miles away, immersed in the somewhat insane world of writing a complex, multi-layered novel! 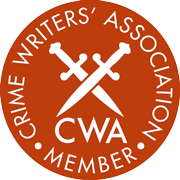 I was delighted to see two of my book-of-the-month authors were CWA dagger award winners a couple of weeks ago. Firstly, Chris Whitaker’s book Tall Oaks won the New Blood Dagger for best debut crime novel, and Jane Harper’s The Dry won Gold, for the best crime novel of the year. If you haven’t read these books yet, then you’re in for a treat. 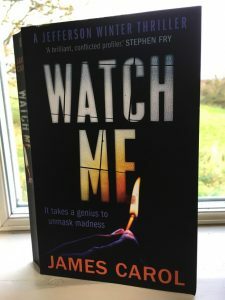 My book of the month is Watch Me by James Carol. If there’s one thing I love, it’s a flawed, believable main character, and Jefferson Winter – who’s an ex-FBI profiler who travels the world hunting serial criminals – is one of the best. It’s nail-biting, edge-of-your-seat stuff, so don’t expect to get any sleep until you’ve finished it. Now, if you fancy reading an extract from Know Me Now, then have a quick peek HERE. And I hope you have a great run-up to Christmas, with crisp cold days, feasts and roaring fires. Oh, and lots of books. LOTS.